When I was planning this month’s posts, I was thinking about what I wanted to share with you. And I got to thinking about a recent conversation with a friend of mine about YA literature and how much I love it. It’s only in the last couple of years that I have really got into YA books but when I was re-organising my bookshelves recently, I realised that they now make up a considerable amount of my collection! YA seems to be becoming increasingly popular but I know there are some people who are uncovinced so I thought I’d share a little post about why I love YA. First up, I should probably explain what YA is. It stands for Young Adult and is a type of fiction that is specifically targeted at young people. Most places seem to suggest that the target audience is readers between the ages of 12 and 18. However, you do not need to be a teenager to read YA. YA isn’t a genre so it can cover a whole range of topics. You can have YA Contemporary, YA Fantasy, YA Sci-Fi etc. Now I love YA fiction as a reader but it is also something I’m drawn to as a writer (I’m currently working on two YA fantasy novels). For me, this is because I love reading and writing about change. There is nothing better than seeing how a character reacts when everything around them starts to change and shift. It really shows what kind of person (or creature) they are. I particularly love the moment when they begin to discover that the world around them isn’t quite as it seems. Due to the age of many YA protagonists, these themes are often in these books and it is a big part of why I love them so much. I love the fact that the characters are usually challenged and have developed in some way between the start and the end of the novel. There are also a whole host of fab new YA books coming out at the moment so I always know that there is something fantastic to read. 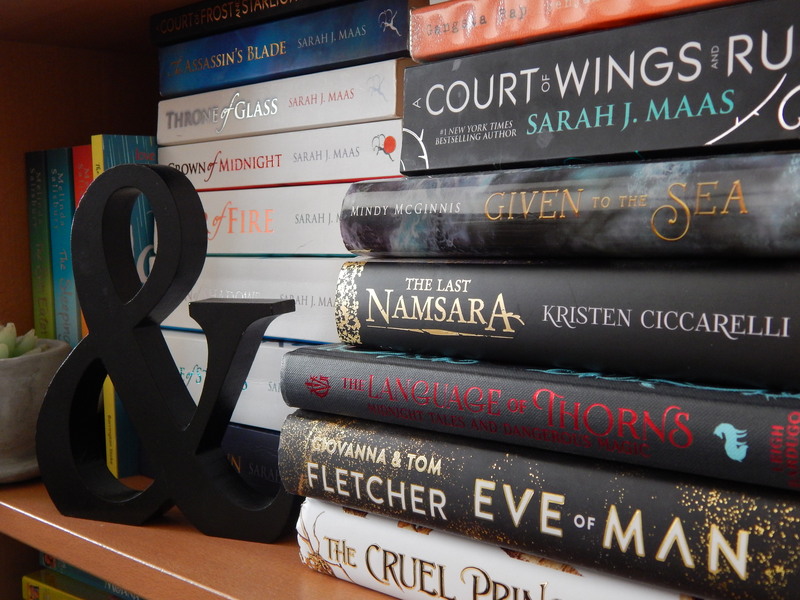 Which YA books should you start with? If you’ve never read any YA fiction but fancy having trying them out, I’ve out together a list of some of the YA books that I’ve enjoyed recently that I would recommend! If you like fantasy books, you should try The Last Namsara by Kristen Ciccarelli. If you are looking for some fantastic humour, check out The Exact Opposite of Okay by Laura Steven. If the world around you has got you thinking about politics, make sure that you pick up State of Sorrow by Melinda Salisbury. If you usually choose sci fi, try The Loneliest Girl in the Universe by Lauren James. If you want a gritty novel about friendship, I would recommend Clean by Juno Dawson. How do you feel about YA fiction? Ooh some fab books there! I am a huge YA fan.